This relief technique continues the style of the raised tulip range however has a more minimal look with a single block colour base and singular white highlights. 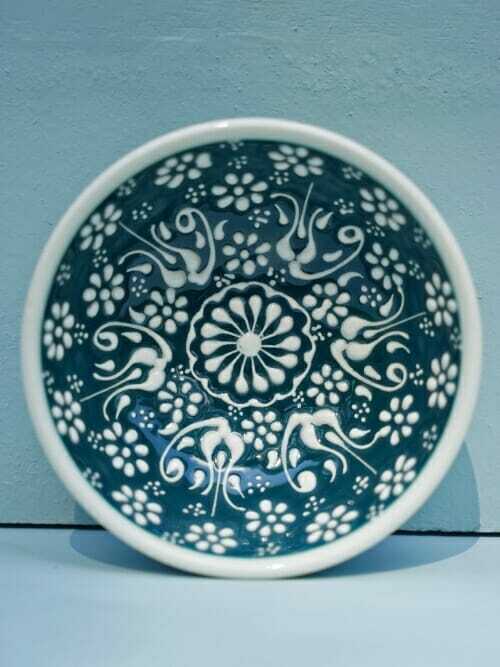 These bowls are great on a platter or bread board to hold olives, sun dried tomatoes or any other mezze or tapas items. Of all our bowls this size is the best for holding dips! 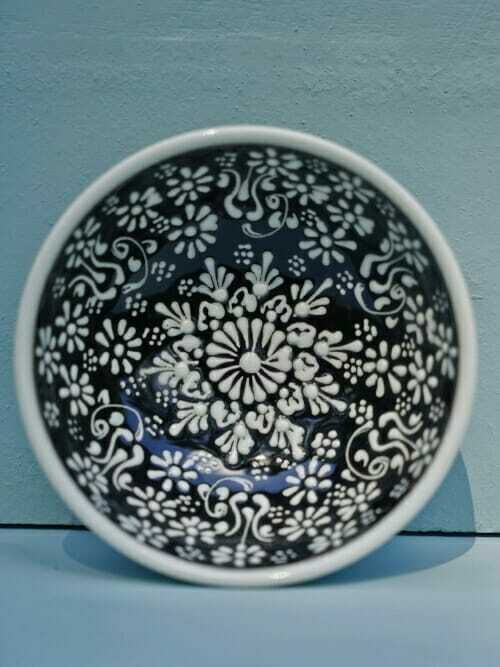 We also love using them as earring or ring bowls in the bedroom. 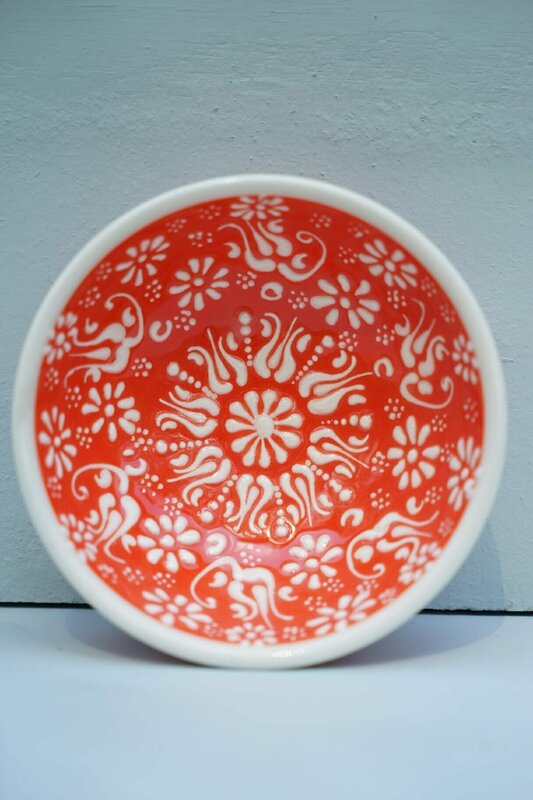 These bowls also look great just as a decorative piece on the mantel piece or kitchen table. 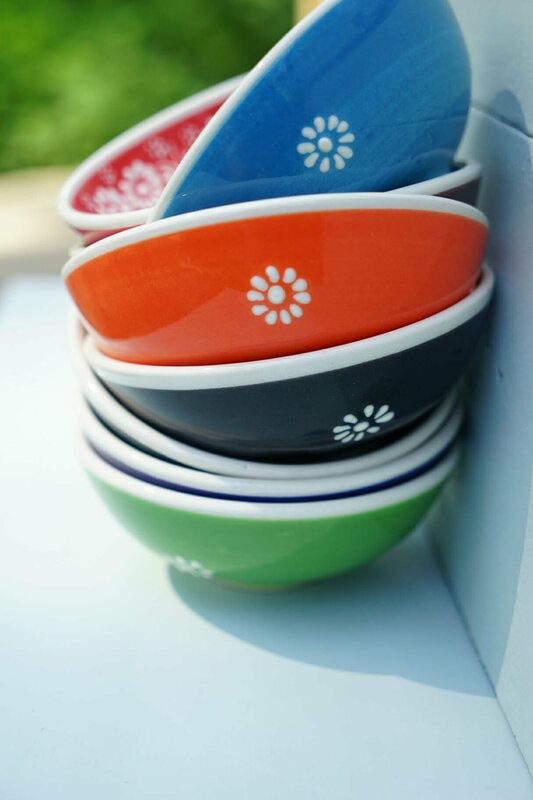 Please remember each of these bowls are hand painted so no two bowls are alike and you may find perfect imperfections in each one. We recommend you wash this product gently with soap and water, however they are dishwasher, microwave and food safe. 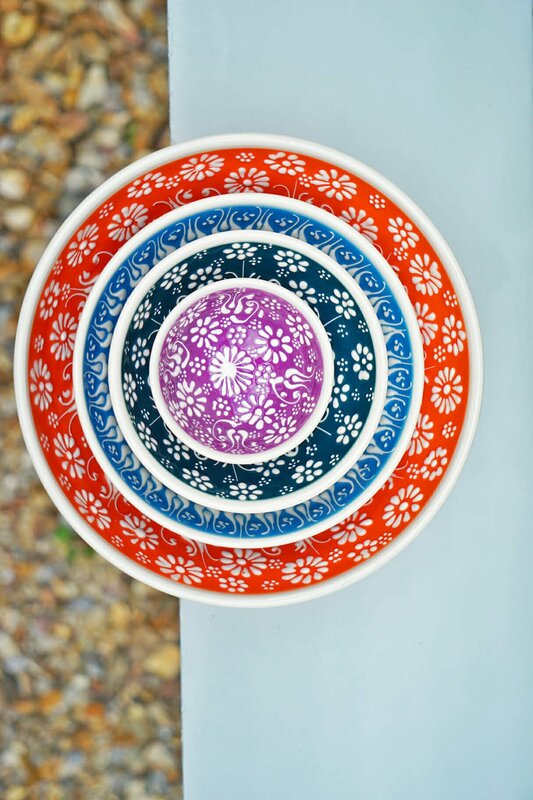 Head to our social media pages for great videos to see these beautiful bowls being hand painted in Turkey.